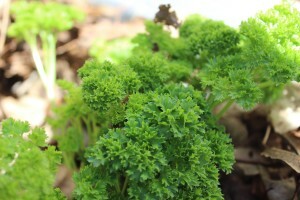 I've said before that even if you don't have a green thumb, growing herbs is easy and fun to do. A sunny kitchen windowsill is a great place to grow herbs if you don't have garden space. I like to grow basil and thyme in little terra cotta pots in my kitchen since I use these two herbs most and its convenient to have them near when I'm cooking. This year our garden has an abundance of herbs and since people always ask me how to preserve herbs I'll share some quick and easy ideas and recipes. Making pesto is the perfect way to use up those herbs. 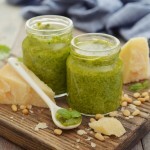 I love any kind of pesto and having a variety of fresh herbs on hand lets me get creative. You're probably familiar with basil pesto but did you know that parsley, mint, oregano, cilantro, and oregano can be used to make pesto? Not crazy about pine nuts? Use almonds, walnuts or pecans instead. Here are a couple of simple recipes for adaptable pestos that can be used on grilled fish, chicken, roasted vegetables and steaks. I also like to flavor mashed potatoes and soups with pesto and I've been known to dip my french fries in basil pesto too. Process: Add everything to your processor and whirl it around until it has a thick paste-like consistency. I like mine on the chunky side but you may like it smoother. If it's too thick , add a bit of water. 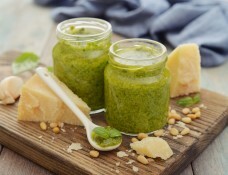 Pesto can be frozen in ice cube trays and added to other recipes long after herb growing season is over. Just fill ice cube trays, freeze, then pop into a plastic baggy to store in the freezer. You Can’t Beat a Good Beet! Beets have some insane health benefits, so before you say “yuk” I hope you will think twice about giving beets a try. Beets take on different flavors depending on how they are prepared. I’ve had a lot of people tell me they just don’t like beets, until they’ve tried them roasted or steamed and added to salad, or pickled. I’ve canned tons of pickled beets over the years and I am always looking for new ways to try them. Serve peeled roasted beets as-is, with a drizzle of olive oil and a sprinkle of salt. Or slice and use them in salads. Roasted beets are particularly tasty with highly flavorful white cheeses – feta and goat cheese are excellent choices. They also pair well with roasted nuts like walnuts or hazelnuts, as well as fresh herbs like dill and parsley. The healthiest preparation for beets (due to the short cook time) is to steam them which can be done in about 15 minutes. The tops are also very healthy so don’t throw them away. Roasting beets is very easy and takes little effort. Fold the fold over beets and crimp the sides closed to keep the moisture in and also to help with clean-up later. The juice from roasted beets can really stain so be careful. Roast beets until tender. The amount of time this will take can vary greatly depending on the size of the beets, how many there are, if other things are in the oven, and how fresh the beets are (fresher beets cook up faster). For smaller beets, start checking them for tenderness at about 25 minutes. Larger and older beets can take up to an hour. Remove the beets from oven when tender (you should be able to easily pierce them with a fork). Open up the foil packet and let them sit until cool enough to handle. When the beets are cool enough to handle, slip their peels off with just a rub of your fingers (wear gloves if you have them). You can use a pairing knife. Note: Beets are fairly flexible veggies, if you have something else in the oven at anywhere between 325°F and 425°F, beets will happily roast up at that temperature alongside what you're already cooking, it just will take a bit longer at lower temperatures. The beautiful color of beets also reflects their rich concentration of health-promoting antioxidants, which add free-radical protection to your Healthiest Way of Eating. They are also rich in folate and manganese. Steam covered for 15 minutes. Beets are cooked when you can easily insert a fork on the tip of a knife into the beet. Although some of their colorful phytonutrients are lost to the steaming water, there is plenty of color and nutrients left in the beets. Press or chop garlic and let sit for 5 minutes to bring out their health-promoting properties. Peel beets using a paper towel. Transfer beets to a bowl and toss with remaining ingredients while they are still hot. While the sweet beetroot has some of the minerals in its greens to a lesser degree, it is also a remarkable source of choline, folate, iodine, manganese, organic sodium, potassium, fiber and carbohydrates in the form of natural digestible sugars. 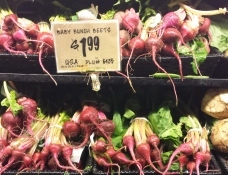 Beets belong to the same family as chard and spinach. Beet leaves have a bitter taste like chard, but is rich in chlorophyll. 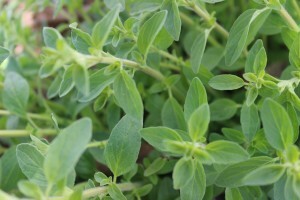 Although bitter, the greens have a higher nutritional value than its roots. Both beetroot and beet greens are very powerful cleansers and builders of the blood. Betacyanin is the phytochemical in beet that gives it its rich ‘amethyst’ color that significantly reduces homocysteine levels. They are a wonderful tonic for the liver, works as a purifier for the blood, and can prevent various forms of cancer. Nuff said, right? Tastes good and prevents cancer? Beets were served in space when the astronauts of Apollo 18 met up with their brethren in Soyuz 19. They served borscht. If you are juicing, but haven’t gotten to veggies yet, give beets a try. Use a small amount at first to supplement your already yummy fruit smoothies. Work your way up to more as you see fit. 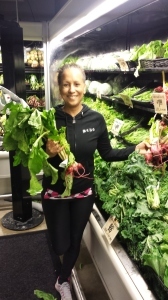 Beets have long been known for its amazing health benefits for almost every part of the body. And yet, it is something that very few people eat, much less juice. Acidosis: Its alkalinity is essential and effective in combating acidosis. Atherosclerosis: This wonderful crimson juice is a powerful solvent for inorganic calcium deposits that cause the arteries to harden. Blood pressure: All its healing and medicinal values effectively normalizes blood pressure, lowering high blood pressure or elevating low blood pressure. Cancer: Betaine, an amino acid in beetroot, has significant anti-cancer properties. Studies show that beets juice inhibits formation of cancer-causing compounds and is protective against colon or stomach cancer. Constipation: The cellulose content helps to ease bowel movements. Drinking beets juice regularly will help relieve chronic constipation. Dandruff: Mix a little vinegar to a small cup of beets juice. Massage it into the scalp with your fingertips and leave on for about an hour, then rinse. Do this daily till dandruff clears up. Warning: you will smell awful during this hour! Detoxification: The choline from this wonderful juice detoxifies not only the liver, but also the entire system of excessive alcohol abuse, provided consumption of alcohol is ceased. Gastric ulcer: Mix honey with your beets juice and drink two or three times a week on an empty stomach (more frequently if your body is familiar with beets juice). It helps speed up the healing process. Gout: Another ailment that can be greatly helped by the cleansing that beets have to offer. Liver or bile: The cleansing virtues in beets juice is very healing for liver toxicity or bile ailments, like jaundice, hepatitis, food poisoning, diarrhea or vomiting. A squeeze of lime with beets juice heightens the efficacy in treating these ailments. Varicose veins: In similar ways that it helps to keep the elasticity of arteries, regular consumption of beets juice also helps prevent varicose veins. There is nothing more satisfying on a cold winter night than a great bowl of homemade soup. One pot meals were very common in my household growing up with six siblings and my mom and dad really knew how to stretch those dollars with a big pot of soup, stew, beans or something. And of course every leftover became a new meal; like leftover rice became rice pudding and mashed potatoes became potato pancakes. No wonder I learned to be so creative in my cooking. High-quality stock is the backbone of any soup recipe. A good stock or broth that includes flavorful ingredients and just the right seasonings can create a delicious pot of soup. Although not difficult to make, stock does require a couple hours of cooking time, but the flavorful result is well worth the effort. Making stock also is a great way to use up items that would otherwise be thrown out, such as bones, shells, celery leaves, and carrot tops. Chicken stock comes from the bones and gristle of the chicken, while chicken broth is made from the meat. Because of this, chicken stock has what cooks describe as a “fuller” feel, meaning a richer flavor, as the gelatin in the chicken bones becomes part of the liquid. In general, broths are a byproduct of preparing another food item, and not prepared for their own sake. For example, the juices from roasting a turkey are also considered broth. Chicken stock, on the other hand, is prepared for its own sake as an ingredient, must be simmered for a long period of time -- and is not salted. With all that being said, the difference between stock and broth is primarily confined to the restaurant and professional culinary world. In our home kitchens, the terms are totally interchangeable. In grocery stores, "stock" and "broth" are both used to describe the same product - sometimes salted and sometimes not. If you are not making your own, I recommend you purchase brands with the least amount of sodium (salt) since that will give you the most control with my own your seasoning. Soups are mostly water and often disguised as broth or stock, wine or milk, so whatever liquid you choose for your soups, use one that you would want to drink. As often as you can, take advantage of fresh, seasonal ingredients. If you cannot find the right vegetables for your soup, you could use frozen vegetables with good success, but do not use canned vegetables. Some of those refrigerated leftovers also work well. Stock freezes well, so you can save unused portions for future recipes. If you're freezing the stock rather than using it immediately, cool it quickly in a bowl of ice water, and freeze or refrigerate it immediately. You can also freeze in ice trays. To make a tasty soup out of stock, add your choice of meat, vegetables, seasonings, rice, or noodles, and simmer until tender. When adding wine to soups, be sure to bring it to a boil and let it cook approximately five to 10 minutes to cook off the harshness of the alcohol. This is something you probably do when you are cooking, but might not have realized what it was called. Aromatics include onions, leeks, garlic, and often celery and carrots. Cooking them over low to medium heat in the pan before adding any liquid will help soften their texture and blend their flavors. Cook, stirring occasionally, until they are soft but not browning, about 5 minutes. The goal is to break down their cellulose (it really makes it easier if you are planning to puree) and get them to give off some of their liquid, which will deepen the flavor of the soup. Peel and chop onions as uniformly as you can so they cook evenly. All you really need is a heat-proofed vessel and heat, but for the best results, a large heavy pot is ideal. And if happen to have an immersion blender, that is a huge plus. And of course a soup ladle is a must have if you plan to make soups on a regular basis. Canned and prepared soups are known to be high in sodium and there is a reason: all that water takes a lot of salt to flavor! Practice salting in layers: I prefer to use Kosher Salt or Sea Salt which you can find in most grocery stores. Add some salt to the aromatics and other vegetables as you cook them. If you’re cooking the meat separately, make sure it is well seasoned before it goes into the pot. And, most importantly, taste it before serving and add salt until you taste a hike-up in flavor, then stop! You’ve taken the time to use great ingredients and you’ve cooked and salted perfectly. So why not make the most of it all before it hits the table? Add a bit of something fresh right at the end. Fresh herbs, fresh citrus juice, a dollop or two of cream or yogurt. 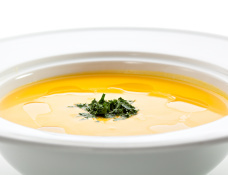 A hit of something un-cooked and un-simmered will highlight the deep, delicious, melded flavors in the rest of the soup. 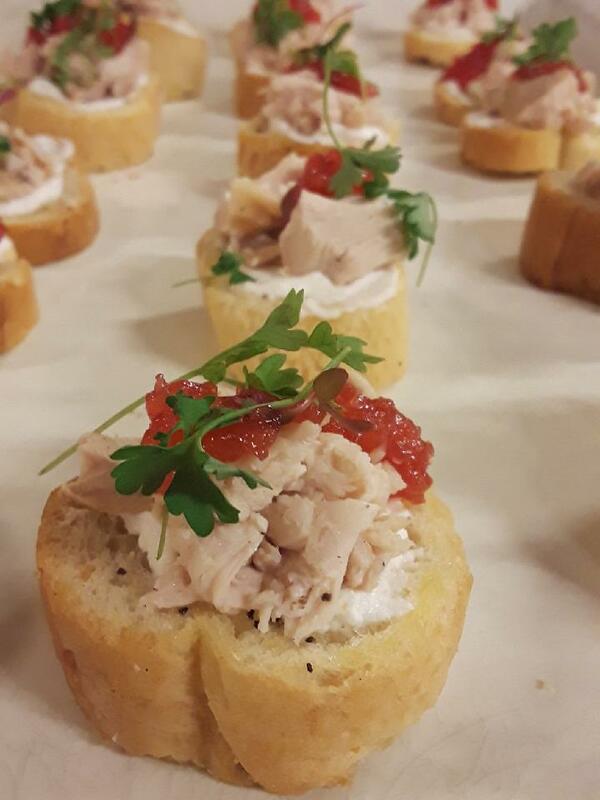 Some soups require a garnish, like sour cream in borscht, a Gruyère-topped crouton for French onion, or rouille-spread toasts with bouillabaisse. Try a sprinkling of freshly minced herbs (whichever kind you used in cooking the soup). For curried soups and Mexican-influenced soups, stir lime juice into sour cream or yogurt with a pinch of sugar; spoon onto soup just before serving. A little grated ginger, finely chopped orange zest, or a dash of curry powder are also good in a cream topping for curried soups. You can, of course, change the flavorings according to the kind of soup you've made; a dollop of cream will also help tone down the fire in spicy soups. Toasted bread, unbuttered croutons, crackers, or baked tortilla chips add a satisfying crunch. A spoonful of salsa, or a few chopped tomatoes, bell peppers, scallions, or cucumbers add a cool, fresh taste to your soup. A dusting of finely grated hard cheese such as Parmesan, Romano, or Emmenthaler, adds lots of flavor but not much fat. Garnishes give pureed soups a visual lift. Try a spoonful of sour cream, a drizzle of peppery olive oil, or a handful of homemade croutons.